I painted this one pretty quick, three hours, one sitting. It's about 18x24 inches, watercolour on paper. The difference between the first photo and second is the back of the moose around his hind. I thought it was too ambiguous about how it stood apart from the background, and bigger than intended. So I used an almost dry bristle brush and pushed the background down. 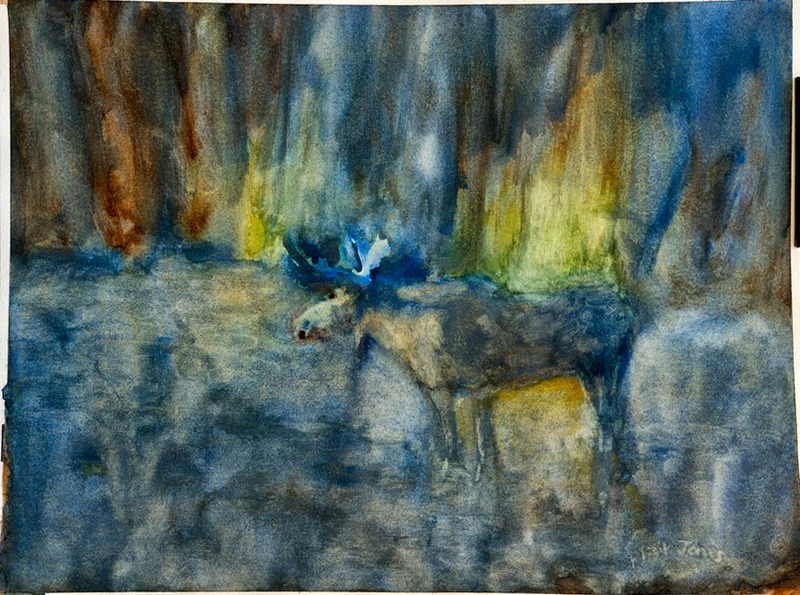 I've taken a bit of grief about painting a realist moose. I chose the subject because I'm going to be showing some paintings at the central library and I'm hoping to sell a couple. All the downtown galleries are stocked with Canadiana. So I picked something there seems to be a market for. Thus the grief. 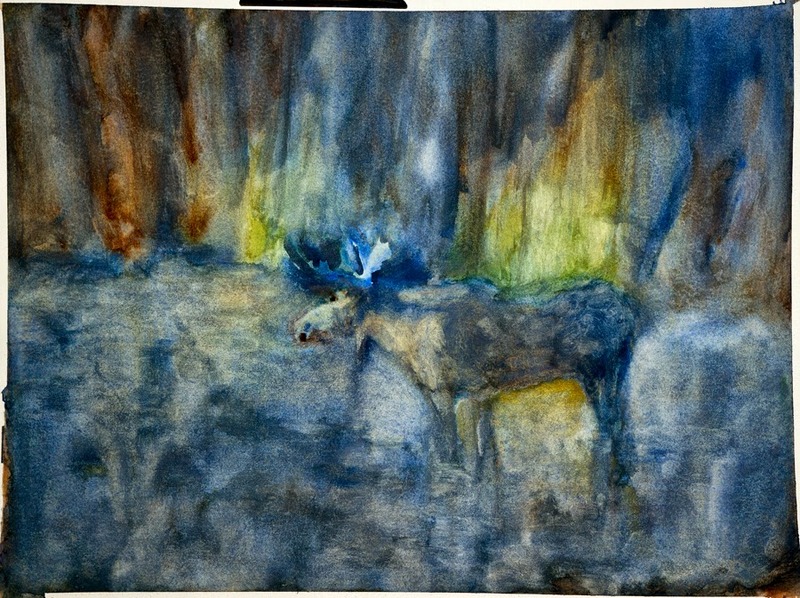 Anyway, I've been thinking if I did this painting again, I would add something in the foreground to frame the moose and give it more depth. Maybe trees around the edges as a dark frame. I'm mostly happy with this. I especially like the way the antlers turned out which was truthfully more luck than planned.